VIA Technologies is reported to prepare a yet another onslaught on the market of high-performance personal computers and workstations with its new chipsets that sport “creams” of this Fall: 1066MHz processor system bus for Intel Pentium 4 chips, support for dual-channel DDR2 SDRAM at 667MHz and dual PCI Express slots for graphics cards. One of the world’s largest designers of chipsets, VIA Technologies, is reportedly sending out its roadmap that covers its future plans to partners. The roadmap includes some new names along with specifications, Tom’s Hardware Guide web-site reports. The main news is that the company declares that it is planning to release chipsets that sport two slots for PCI Express graphics cards. 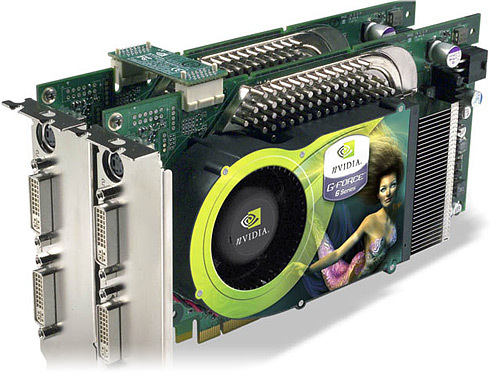 Two PCI Express x16 slots are require to install a pair of NVIDIA’s GeForce 6800-series or GeForce 6600 GT graphics cards in order to set them work in the so-called SLI Multi-GPU mode. SLI is a technology that enables two NVIDIA-based graphics cards to operate in a single workstation or PC delivering higher graphics horsepower.